I Need a Cooking Dictionary! I Guess I know Who My Friends Are! We live in a land of plenty. Yesterday we had our Thanksgiving meal here in the office. Guess what I made? I know, you guessed it--Crockpot dressing. One of the guys here in the office always fries turkeys for us. He fried 3 yesterday. The were moist and delicious. We had all the things that go with a feast, and we all ate until we were miserable. In fact, I saved my dessert until this morning with my coffee. Before November rolls to a close, I will have participated in at least two more Thanksgiving meals. And yes, I have already ordered some new slacks in a bigger size. I'm beginning to think I should just start wearing spandex. That would be the clothes that keep on giving. I tried to make a joke, but I don't hear anyone laughing. The foodbank here has been having food drives this week. Our office had two boxes full yesterday to take to the donation drop-off. Our church sent home grocery sacks with a list of things to put in them. The church will purchase a turkey for each filled bag, and on Saturday, the teenagers and young married couples will deliver them to the families whose names have been given to us. I know several other churches in the area are doing the same thing. I hope everyone who wants to have a Thanksgiving meal will have that opportunity this holiday season. I've decided that starting today through the holidays I'm going to begin a list of things I should be thankful for. I'm going to add something each day, and incorporate them in my prayers. I think the first thing on the list is that Jesus died for my sins so I will have the promise of eternal life in Heaven. I hope you are having a good Friday and are looking forward to a wonderful weekend. Pray for our country. Love one another. I love cheesecake. Any kind except chocolate, but then I eat very little chocolate anyway. Last year I got the bright idea to make a pumpkin cheesecake. I usually make pumpkin pies since they are my oldest grandson's favorite. I went through several recipes and finally came up with what I thought would be a good one. I made it and it was good, but not fantastic good, which is what I want. So my hunt has continued. Today, I found one in a newsletter I get each day, and it looks so good that I'm going to try it. If it turns out, I'll post pictures of it here and will let you know if it's good. I am going to go ahead and share the recipe in case you may think it also sounds good. Here goes. In a medium bowl, combine melted butter, brown sugar, maple syrup and egg. Sift together flour, baking soda, salt and cinnamon then add to creamed mixture, beating until well blended. Gather up dough, wrap in plastic wrap, and chill 2 hours. Preheat oven to 350 degrees. Press cookie crust dough into bottom and two thirds up sides of a 10 x 2 1/2 inch springform pan. In a large mixing bowl, beat cream cheese until light and fluffy then beat in sugar. Sift together flour, cinnamon, and nutmeg, add to cream cheese mixture, beating on low to combine. Beat in vanilla and heavy cream. Whisk eggs into pumpkin and add to batter. Mix on low speed, scraping down sides of bowl, until well combined. Pour filling into crust in pan and bake 45 minutes. Turn oven off, leave oven door slightly ajar, and let rest for 15 minutes. Open door completely and let cake rest inside for 1 hour. Remove pan from oven and cool completely. Topping: Mix cornstarch and water until smooth. Melt butter in a small saucepan over medium heat. Add maple syrup and cornstarch mixture. Bring to a boil and cook over medium high heat, stirring constantly until thickened, 1-2 minutes. Remove from heat then stir in raisins and pecans. Cool to lukewarm then spoon topping over cheesecake. Refrigerate overnight before removing sides of pan. We all have Loss in our lives. Today my friend is suffering loss in her life. On this wet chilly November morning, her husband of over 40 years lost his battle with cancer. When you marry, the Bible says that two become one. Therefore, when one is gone, the other is no longer whole. It will take some time before she will be able to move as one person again. Over 40 years of being connected will be difficult to disconnect. Then it's time to reflect. I've known my friend since 1st grade. I've known her husband since 7th grade. My friend is my age. Her husband a bit older. My family lived down a dusty country road from his. He was one of 10 children whose family were cotton farmers. He had his share of difficulties with a bone disease that caused him to walk on crutches for a couple of years. But he survived that. Just after he graduated from high school, he was in an automobile accident that almost took his life. He survived that also. What do we have here? We have a couple of country farm kids who basically started with just each other. They brought 3 children into this world, who are now grown, educated, successful people with families of their own. They weathered over forty years of hard work. They had difficult times, but they continued to labor together. These days that is a mark of great commitment. His struggles are over. He is in a better place. His family already looks forward to the day they can be with him again. Please pray for this family, that they may make it through the next few days, and that God holds them in his hand and gives them the strength to endure. I hope you are having a good Tuesday. Pray for our country. Love one another. I have no specific topic today. So I'm just going to ramble a bit. It's been a good week, other than my youngest daughter thought she might have mono, but turned out it wasn't. The youngest granddaughter is potty training and doing really well. She's two. I picked the older two granddaughters up after school yesterday and brought them back to work til their mother could pick them up. 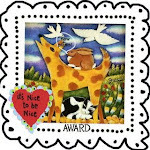 I have new art work! Note to self: pick up a couple of coloring books and some colors. I don't like for them to use the dry erase markers I have here in the office. I don't think it would come out if they got it on their clothes. I played cards last night. Didn't win, but had fun. We have one gal who plays with us that keeps you in stitches. She can take the silliest thing and tell it in a way that doubles you up laughing. What a stress reliever that one night a month is for all of us. The hostess' husband made a pot of potato soup for us, and she had sandwiches, chicken salad, bacon tomato dip, cheeseball, and salad. Then for dessert, she had pecan pie, pralines, and pecans dipped in white chocolate. I was really good, I didn't eat any pie. We're trying something new here in the office this week. I bought a bottle of sublingual B-12. We've each been taking one after lunch to see if it makes us any perkier(is that a word?). You put them under your tongue(thus sublingual) and let them dissolve. They taste sort of like a sweet tart. I don't know for sure, but we think they may be working. We went to a meeting the other afternoon. Three of the four people in the meeting had taken the B-12. The person who didn't, yawned all through the meeting. I have three dresses to cut out and get ready to smock this weekend. Then there'll be a 4th one as soon as I can meet my sister-in-law to pick out fabric for her granddaughter. We are making bishop dresses with geometric design, and adding christmas themed buttons around the yoke. Then after christmas, the buttons can come off, and they can continue to wear them til they no longer fit. And Megan from Little Rock, welcome into my little corner of the world. That's it for a ramblin Friday. I hope you have a wonderful weekend. Pray for our country. Love one another. I put the tomato and bacon in my food processer and pulse it till it's chopped pretty finely. You can crumble and chop if you want to. Add to the mayo and sour cream. Mix well. To serve, cut bread into cubes to use for dipping. If you don't like the bread(#1daughter), use whatever chips you like. This dip is finger lickin good. And it's so easy to make. I hope you are having a good Veteran's Day. If you know one, be sure to tell him/her how much you appreciate what they did for us. Pray for our country. Love one another. I was looking at some recipes this morning in an email I get every day. It has lots of good recipes in it, and whether I ever make them or not, I like to read them. But today I got to wondering about something and I'll see if anyone can get me straight on my conundrum. What is the difference in soup and stew? Is there a particular ingredient that is in one that isn't in the other? Does the stew have to do with the way the meat is cut? Or is it that there are certain veggies that is 'allowed' in one and a 'no no' in the other? When I make beef stew for example, I use stew meat that I buy at the store cut into chunks, or I buy a cheap cut of beef and cut it up myself. I usually add onion, potatoes, tomato juice and some salt and pepper. But if I make the same thing except I use ground beef that I brown in the place of the chunks, we call it beef soup. I also usually add corn and carrots to the beef soup. Is that what makes it different? Oh, and I just had another thought. How does chowder, goulash and gumbo come into this mix. I've always been told that gumbo must have okra in it to be called gumbo, so that makes a little sense as to why it's called something else. You know the saying,'you can't tell the players without a program'? Well, I'm beginning to think the same about cooking. And Tipper at Blind Pig and the Acorn was right when she said people thought polenta was a gourmet dish, when it was basically what sustained a lot of people who had very little else to eat. Have you made your Thanksgiving plans yet? What about a menu? What dish is your speciality that you always make for special occasions? Hope you are having a great Tuesday. Pray for our country(we saw a group from the 875th leave for Afghanistan this morning). Love one another. The pecans are beginning to fall here on campus. We've been having warm days and windy nights, and lots of leaves have fallen. Some of the people here in the office go at lunch and pick up pecans. There's probably 40 or 50 trees here, and they aren't the big papershell, they are what we call 'Stewarts', about as big as your thumb and have a very tasty nut inside. I haven't been going with them to pick up nuts because I have a tree in my back yard. So on Saturday, a beautiful fall day, I might add, I took a container and headed into the back yard. What did I find when I got there? Well, there was one thing I definitely did not find--PECANS! No not nary a one. I immediately think, 'those darn squirrels', but when I look up in the tree, I realize that the poor squirrels are going to be hungry this winter. There aren't even any burrs on the limbs where any nuts have fallen. I've lived in my house for 10 years, and this is the second time there have been no nuts. Needless to say, I was disappointed. I was looking forward to using my nutcracker to bust them, and then sitting and watching tv while I picked out the nuts. Guess I'll have to find something else to fill my time. I have 3 and possibly 4 dresses to smock for Christmas, and I'm planning to make pj's for the kids, so I guess it's time I got started on that. 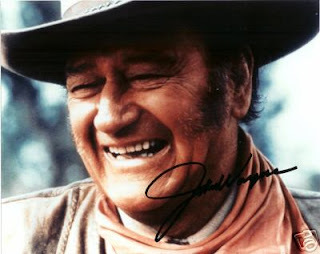 Anyone who knows me, know that I am a dyed in the wool, die hard, true blue John Wayne fan. He is the epitome of the great American. I know he had his faults, but he never failed to stand up for this country. After hearing about the shooting in Fort Hood, my heart went out to all those families who are affected by this tragedy and for some reason, this poem spoken by John Wayne came to my mind. Regardless of what happens, how bad we think things are, or how corrupt we feel our government is, we still live in the greatest land on the planet. 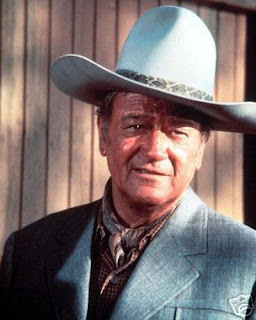 Did you like his westerns or military films best? Have you ever noticed that regardless of the film, there is at least one fight--many times in a bar? Have you ever noticed that the same people were in his films time and again, and even when those people were no longer around, their children were? Did you know there is at least one movie where he is a singing cowboy? It's a B movie, but it's out there. Did you know his film company Batjack was the name of a ship in one of his earliest films? 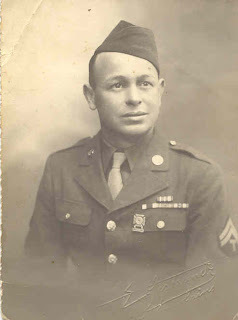 Oh, and this last picture is of my hero, my dad who served in WWII, and who has been gone for several years now. Hope you are having a beautiful Friday. Pray for our country. Love one another. I have been asked to post this recipe again. For anyone who may have missed it or didn't try it before, it's the best dressing recipe I've ever found, and the easiest. I would consider it definitely the southern style of dressing. 1 – 8” pan cooked cornbread- don’t use jiffy mix, it has a sweet taste to it. If I cook a chicken to put in it, I use 32 ounces of my chicken broth. I also heat the broth. It seems to help with the mixing of the breads. If I use hot broth, I wait until I’ve put in the other ingredients to add the eggs so as not to cook them. I wrote my post yesterday simply to complain about the fact that my oven doesn't heat properly. Thinking all along, I'd get a bit of sympathy, but no, I got accused of trying to get out of cooking the thanksgiving turkey. And #1 daughter(that's #1 traitor from now on) jumped right on that bandwagon. Actually, I got quite a laugh about it, and I'd have tried it before if I thought it would have gotten me out of cooking(I do so much of it). But we'll be having our thanksgiving at #2 daughter's house, and I'll carry the turkey there to be cooked. And Laura, I personally have never had a crockpot to die, and I have one that is about 30 years old, but I have a friend whose 'high' setting went out, so she can only cook things that take 8 or more hours to cook, but sounds like you have worn yours out. And on the subject of crockpots: Have you tried the liners? They are to die for. Clean up is simply throwing out the bag. No stuck food to the sides, no scrapping, just gather up the corners of the bag and pitch it in the trash. I don't cook nearly as much as I used to. Now I haven't worn out too many stoves. Although I’ve used some that were worn out. And there was a time when I could put a fairly tasty meal on the table. Even back in the beans, fried potatoes and cornbread days. But for some time now, it seemed everything I put in the oven had to cook a bit longer than the directions/recipe said. And strange part is, I bought a new range less than two years ago. It's gas, but has a digital panel to set the time and temp so I thought I was all set. The most puzzling thing was that a cake mix in two pans seemed to bake fine, but let me try to make a bundt cake with or without a cake mix in the ingredients and it would always flop. At first I thought it was my ingredients. Since I don’t bake as much as I used to, I figured my baking powder was old. Or some other ingredient wasn’t good. So I even bought all new ingredients. Still flopped. Then a few days ago, I was reading a blog that had a recipe. The person had made some comments about how their recipe had turned out, and had mentioned it was very important that the temperature be at the exact setting as shown on the recipe. This person even went on to say you should never trust your oven settings. They could be ‘off’. DUH! Do you think? I put an oven thermometer in my oven, and sure enough, it’s off between 40 and 50 degrees depending on what the setting. I was making cheese biscuits. The recipe said 45o, so that’s where I set my oven. When it beeped, I checked the temp and it was only 350. I thought I’d give it a few minutes, and it eventually got to 400 and that’s where it stopped. It wasn’t until I set the temp on 500 that it finally got to 450. Who would have thought? So now, I’ve got to dig out my papers on the stove and hope it’s still under some type of warranty and regardless of whether it is or not, have it checked out. Surely there’s a way to adjust the burner in the oven, but my son said he’d never heard of having to do that. And I have to give him credit, he’s the one who suggested contacting the company. Well with that startling revelation about stoves, I hope you’ve had a great Tuesday and that all your baking has been perfect. Pray for our country. Love one another. This rainbow was what we got to see all the way home Friday afternoon. We discussed God's promise to never flood the earth again, even though it was beginning to look as if He had renigged. I picked up these three little girls Friday afternoon. My two granddaughters and their little friend. They spent the night at 'Memaw's house. They giggled, they ate, they watched movies, they played, and then suddenly it was bedtime. The next morning, I made the picture of the three of them in pj's doing the 'Hear No Evil, Speak no Evil and See No Evil'. I thought it was quite cute. They ate breakfast, got dressed and went outside to play, which gives us the picture of them in the tree. They later did a dress up thing in some of their mother's dresses, and was picked up by said mothers about 11 that morning. I enjoyed having them, and I think they all had a good time. I guess we'll find out if their friend had a good time if she ever wants to come back.